If you read my first post of the year, you’ll know that one of my goals was to work out with Nike Training Club twice a week. Apart from the privilege of paying triple the rent of my hometown and five quid for a pint, one of the nice things about living in London is access to exciting free stuff like Nike Training Clubs. Over the last month, I’ve tried out classes at the Stratford Nike Store (queue burpees in front of bemused strangers on the shop floor) and Finsbury Park (queue running through clouds of marijuana smoke and heckles from horny homeless guys). My first couple of sessions were pretty intense, I won’t lie. As a beginner, I felt a little intimidated by the group of predominantly lean, leggy and immaculately kitted out gals who looked like they worked out a whole lot more regularly than I did. And who owned a lot of very cool running tights which, on me, I’m quite sure would have looked like an accident in a paint factory. There were several post-session, rubber-legged limps back to the bus stop, albeit with an accomplished smile on my face that probably raised suspicions from fellow commuters. But then, as is traditional with this sort of thing, I got kind of used to the pain. 1. Create a mantra – an intention you set or mutter doggedly under your breath when the voice kicks in. Mine is strong, positive and powerful. 2. Beyonce. Say it. Think it. Say it to other girls when their legs start to jellify or you both start growling. Because, well, you know…Beyonce. 3. Just get back up again. It’s ok that you stood up for a second when your bumcheeks started screaming in the middle of a squat – just bring it back down and carry on. Your bum will still thank you for it later. The sessions are mainly focused around circuit training / High Intensity Interval Training (HIIT), though there’s also a running club and Yoga sessions. The clubs aim to make you feel like a team and I think there’s a feeling that they’re a comfortable, supportive environment to work out in. I’ve generally found the groups to be supportive – everyone has their own level of fitness of course, but I’ve had some great moments where I’ve wanted to quit and the gals have had my back and kept me going. That’s me in the orange (quivering legs out of shot). What if I’m not in London? There are a sessions running in Glasgow, too, but for the rest of you, there’s a fantastic Nike Training Club App which will do just the job in the comfort of your own home. You can select from a huge range of workouts tailored to your goals and levels. Pro tip: stick to beginner unless you actually work our 2-3 times a week, rather than pretending in your own head you do (I learned that the hard way).The workouts consist of HIIT / Circuit training which generally doesn’t require any equipment and can be done in fairly small spaces (awesome if you run the risk of putting a window out in your ‘cosy’ flat like I do). My current favourite move is ‘Recover’. Absolutely. Because I could flit between the ‘real’ sessions and the app, I found it easy(ish) to stick to my goal of 2 sessions a week. There’s something liberating about being able to work out at home and still see the results – I always feel pretty time poor, so the thought of always having to carry a load of stuff and trek somewhere to workout on my way home can be off-putting. There’s also a supportive community behind the app / classes online which is a nice touch. 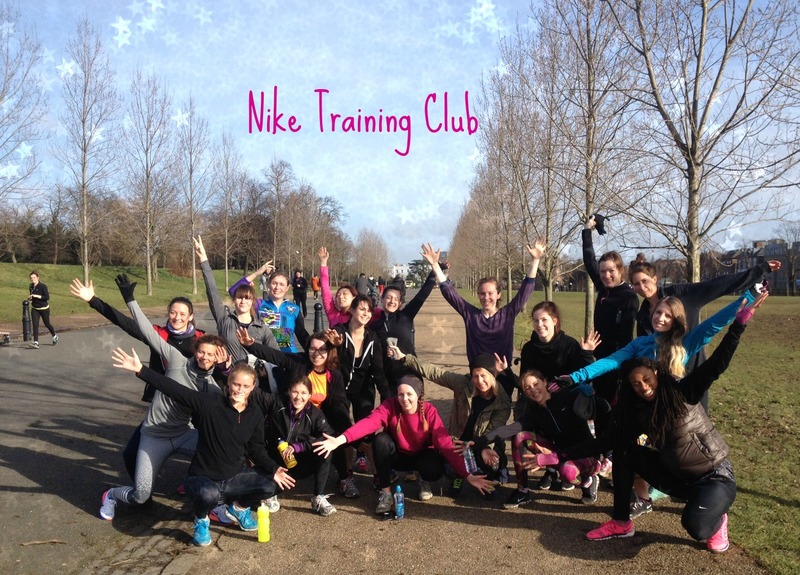 My goals this month are to keep up my weekly Sunday NTC session in Finsbury Park, but to also try something NEW! This month’s newbie is Boxfit / Boxercise. I also want to start learning more about nutrition – my diet is pretty good with lots of vegan / veggie meals, but I’m not so good at achieving balance, and I’d like to understand more about how to properly fuel my body and increase my energy levels. Any suggestions on good sites / books to read are most welcome!